Blackberry Conserve contained in a 227g glass jar. A wonderfully deep coloured 'extra' jam, packed with fruit. 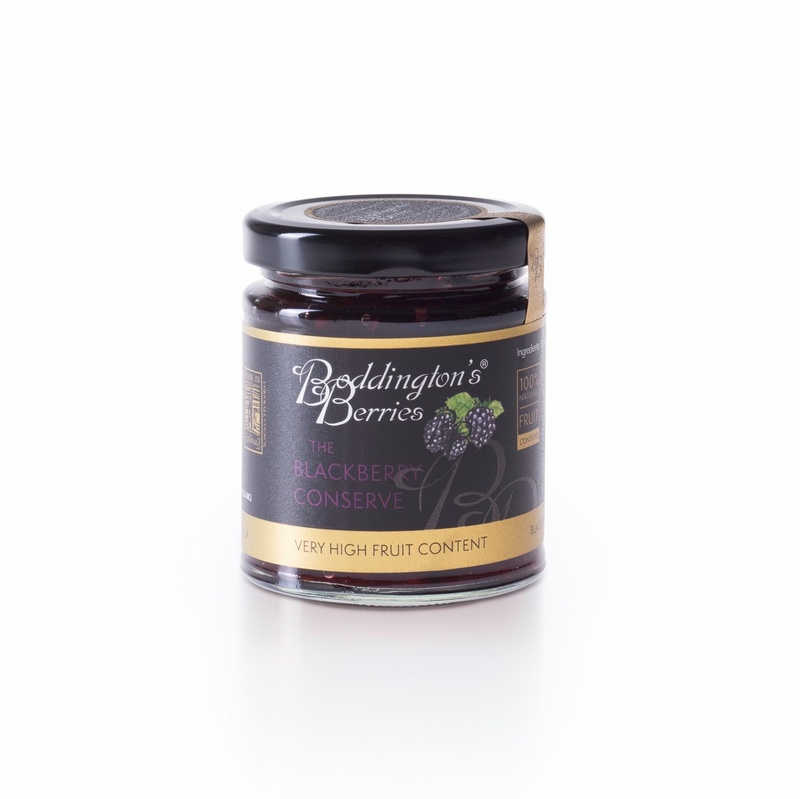 This blackberry conserve is made with whole fruits (so does contain the pips), and has only sugar and lemon juice added. Wonderful on toast or with a cream tea.